Rubes at Camp Tipsy!!! Eating and Listening? At the risk of sounding too repetitive and cliché, I must add my voice to the accolades pouring in to Dean Mermell and Mauro ffortissimo for the grandest opus yet in their ever-expanding repertoire of piano-anointed events! The Sunset/Flower Piano showcase event in the San Francisco Botanical Gardens yesterday was truly a life-affirming glory to behold – a “heaven-on-earth for two hours” as my brother said! In this day of electronic gadgetry, screen-oriented image based entertainment, clever yet cold innovations in pleasure, the masturbatory love of hi-technology, the soul-devouring Moloch of machine love, audacity over sentiment, disappearing venues for live human based entertainment, disappearing pianos in the otherwise DJ and electronic oriented venues that do remain, and the apparent molting of the creative human resource that this particular city (San Francisco) has been culturally built on, it is an absolute blessing to find in a garden brimming with the life that Earth gives up an adornment with the life that we humans have to give back! Without pretense, demand for return, and without vanity – like a flower – 12 pianos (one for each note in our chromatic tone palette) and 12 players gave of themselves by simply being – like a flower – basking in the sun, doing what they do and nothing more. All anyone else could do is to just take it in and then try to figure out what to do with all the surplus Joy. The glory of Nature cannot be possessed, it can only be experienced and shared. These 12 human flowers are a perfect accompaniment and complement to that beneficence! Thank you Dean and Mauro for cultivating this field in which we, anyone, can play. Thank you for nurturing the life of these pianos which would otherwise go the way of so many of their fellows and be dumped as inconvenient beasts from the past. Thank you for perpetrating senseless acts of beauty which require almost no effort on the part of the recipients while requiring monumental effort on your parts (for pianos are indeed beasts!) Thank you for showing San Francisco (more specifically) that we – who grew in and came to this particular garden so that we could create and play for the pure joy of it – that we are still here! despite the current move away, the forced eviction if you will, from what made this city what it wanted to be! Dean and Mauro, you are yeomen saints and deserve all the glory, in which we all share, of the reflected Joy that yesterday brought and no doubt the next 8 days will continue to bring! Here’s to Opus V and indeed the ever-expanding opera of Sunset Piano – may we see 88 pianos (I know, D and M are cringing at the thought of that) next time!!! 12 Responses to Glory, Glory! Maira Dizgalvis liked this on Facebook. Molly Freedenberg liked this on Facebook. Meredith Yayanos liked this on Facebook. Mia Ihara liked this on Facebook. 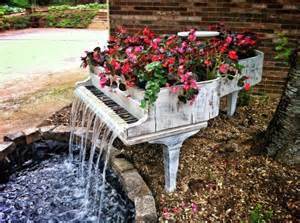 Makes me want to go “tickle some ivories” right now! I love this idea, may it cross “The Pond” before too long! Kelsey Pinkwater liked this on Facebook.